You are on the interest list. 16+ AGENT/ MANAGER MEETINGS WERE SETUP FROM OUR LAST 2 ATL TRIPS! THE MAY ATL TRIP 2019! MAY Atlanta Trip (May 3rd-5th)? Lisha M. signed with Danita Florance at Littman Talent Group after going on the 2018 ATL Trip. Leon M. is working with Privilege Talent after going on the 2018 ATL Trip. Justin P. signed with Houghton Talent after going on the 2018 ATL Trip. Jeff K. signed with J. Pervis Talent after going on the 2018 ATL Trip. 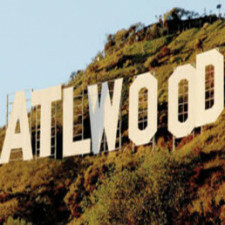 Over 70+ Films and TV Series are being shot in Atlanta. Did you know it's possible to have Atlanta representation while still living in New York? 90% of auditions are done via self-tape. Did you also know you can have both New York and Atlanta representation without any conflicts? Click HERE for more info on Atlanta's growing industry! In two days you will showcase for some of the top ATL agencies, take intensives on the self tape format with leading CDs, and participate in a marketing seminar. PLEASE ONLY ADD YOURSELF TO THIS LIST IF YOU'RE INTERESTED IN GOING ON THE MAY 3rd-5th ATLANTA TRIP.